Our website has been designed to collect a minimal amount of personal data from users and the data collected will not exceed its original purpose. 6. To help you quickly find services, or information about products that are important to you. Sampson Property – Sociedade de Mediação Imobiliária, Lda considers personal data to be information of any nature which relates to an identified or identifiable person. A person can be identified either directly or indirectly by reference to an identification number or to one or more specific elements relating to their physical, physiological, psychological, economic, cultural or social identity. Information about your IP address, access times, account activity and pages accessed, the type of browser that you use and language, the operating system you use, device and network data, software installed including product keys. Notwithstanding these measures, when you provide personal information on the Internet there is always a risk that they may be intercepted and used by third parties outside our control. While we make every effort to protect your personal information and your privacy, we cannot guarantee the security of the information you make available through the Internet. Sampson Property – Sociedade de Mediação Imobiliária, Lda will keep your personal data on file for the period necessary for the provision of services, respective billing and in compliance with legal obligations. When there is no specific legal obligation, personal data will be processed by Sampson Property – Sociedade de Mediação Imobiliária, Lda only for the period necessary to achieve the defined purpose. Sampson Property – Sociedade de Mediação Imobiliária, Lda is committed to undertaking the necessary security measures to ensure the safeguarding of the personal data of users against possible misuse or against any unauthorised access. To achieve this, Sampson Property – Sociedade de Mediação Imobiliária, Lda has put in place adequate and necessary security measures to protect your personal data from destruction, loss, alteration, dissemination, unauthorised access or any other form of accidental or unlawful processing. Protecting information technology systems through firewalls to prevent unauthorised access to personal data. Continuous monitoring of access to information technology systems with a view to preventing, detecting and avoiding the misuse of personal data. The signing of confidentiality agreements with all employees within the scope of the employment relationship with Sampson Property – Sociedade de Mediação Imobiliária, Lda, being aware of the importance of legal compliance regarding confidentiality and confidentiality rules. Please be aware that while Sampson Property – Sociedade de Mediação Imobiliária, Lda makes every effort to protect the information of customers and users, no website, internet connection, computer system or wireless connection is completely safe. We do not sell, exchange or transfer to third parties your personal information in any form. Your personal information may be transferred to outsourced external suppliers to provide us with certain services. They can be used to provide technical assistance. We require such subcontractors to keep our customers´ personal information secure and confidential. We also require these suppliers to use personal information only on behalf of Sampson Property – Sociedade de Mediação Imobiliária, Lda. In order to improve the services offered, we may include links to third party websites. Sampson Property – Sociedade de Mediação Imobiliária, Lda is not responsible for the privacy practices of such Websites. We recommend that you read the respective privacy statements as they may be different from ours. Sampson Property – Sociedade de Mediação Imobiliária, Lda can not be held responsible or responsible for the content and activities of such websites. A cookie is a small text file stored on your computer or mobile device. Cookies store information that is then used to help websites function. We can only access the cookies that are created by our site alone. You are able to control your cookies through your browser. By disabling cookies, you can prevent the use of certain functions. Necessary cookies – these are required for you to be able to use important functions on our site, such as login. These cookies do not collect any personal information. Functional cookies – these provide functionality to make the use of our service more convenient for you. For example, they can remember your name and email in a form. Analytical cookies – are used to monitor the use and performance of our site and services. Advertising cookies – are used to provide you with ads that are relevant to you according to your preferences. Session cookie – These are temporary and remain in the cookies of your browser until you leave our site. The information gathered by these cookies allows you to identify problems to provide a better browsing experience. For statistical purposes our newsletters may contain a single “pixel” that allows us to know if the newsletter has been opened and checks the click through links or adverts within the newsletter. The user always has the option to unsubscribe from receiving newsletters by selecting the “unsubscribe” option. When you use a service that contains Plug-ins, the information may be transferred directly from your device to a social network operator. Sampson Property – Sociedade de Mediação Imobiliária, Lda has no control over the data collected by a Plug-in. If you are logged in to a social network account, your use of Sampson Property – Sociedade de Mediação Imobiliária, Lda services can be referenced through the social network account. If a client interacts with the Plug-Ins, eg. by clicking on a “Like”, “Follow” or “Share” button or by commenting on a post, this information may automatically be displayed in their personal social network profile. Even when a client is not logged in to a social network account, Plug-Ins may pass their IP address to the operators of the social network. 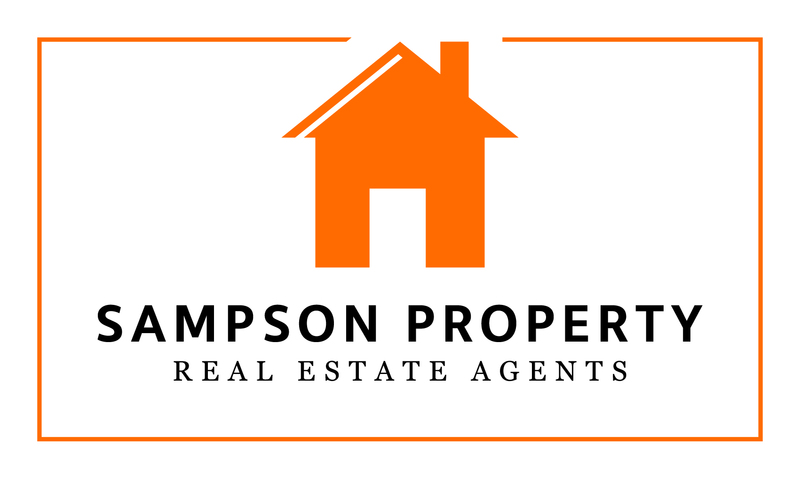 Please take into account this information when using the services of Sampson Property – Sociedade de Mediação Imobiliária, Lda. For further information about social network and Plug-In operators please consult below. If you are a member of one or more of the following social networks and you do not want the Operator to associate data relating to your use of the Member Services already stored by the Operator, log off from the network before using the Services of Sampson Property – Sociedade de Mediação Imobiliária, Lda. Sampson Property – Sociedade de Mediação Imobiliária, Lda. In the future, we may choose to modify or update this policy either because of changes in legislation or in order to cover new developments in the Internet. Accordingly, we reserve the right to make any changes in this regard and request that you visit this page/document regularly, as such changes may affect you as a visitor to our website.